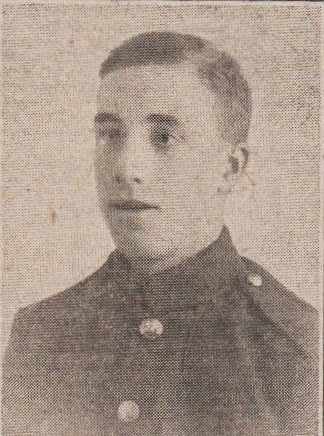 Private James Riley, North Stafford Regiment, who was killed in action on September 29th, was 19 years of age, had been in the Army 18 months and was the oldest son of a family of nine. He was formerly a weaver at Parker and Hasler's Vale Mill, Haslingden, had been in the St. Andrew's Mission Chapel Choir, and was on the roll of honour of Haslingden Parish Church. His parents live at 9 Hudrake, Haslingden. In loving memory of Private James Riley, North Staffords, killed in action on September 29th 1918. That we have spent together."